Feyisola Alabi is a foodie, a creative, an active community member and a Policy Analyst for Mayor William Peduto. Born in Nigeria, Feyi and her family immigrated to Stone Mountain, Georgia, a suburb of Atlanta in 1999. She grew up loving science and culture, and, as the oldest of six children, understood the value of community leadership from a young age. She started working for Mayor Peduto in April of 2017 and says she feels blessed to work for a Mayor and an administration that genuinely aims to serve the city of Pittsburgh by creating initiatives that ensure Pittsburgh is a city of all residents. She loves serving with her church, finding new ways to mentor youth and traveling! As a Nigerian American, Feyi strongly values international collaboration and is always excited to learn how to build bridges across cultures. Feyi holds a Bachelor’s degree in Economics from the University of West Georgia, and a dual Master’s Degree, an MBA and a Masters in Sustainability from Chatham University. 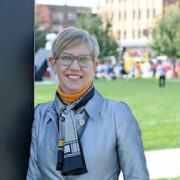 Mary Bontrager is Executive Vice President of Regional Talent Development for the Greater Des Moines Partnership where she oversees all areas of talent recruitment and development, diversity/inclusion, international talent development and education relations. Mary first joined The Chamber (now known as The Partnership) in 1992 as Membership Services Manager. She left The Chamber in 1994 to join Savage-Ver Ploeg and Associates (SVPA) as director of marketing and interior design. In August of 1995 Mary rejoined The Chamber staff as Vice President of Business Growth and was named Senior Vice President in 1998. 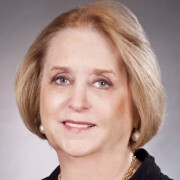 Since moving to Des Moines in 1979 she has also worked for The Weitz Company and Storey-Kenworthy Company. Mary grew up in Exira, Iowa and attended the University of Northern Iowa majoring in Interior Design and Marketing. 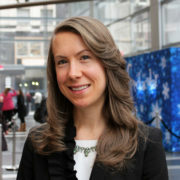 Betsy Cohen is Executive Director for the regional Immigration & Innovation Initiative, the St. Louis Mosaic Project. This initiative is a joint collaboration of the St. Louis Economic Development Partnership, the Regional Chamber and leaders of 22 organizations on the Steering Committee. The goal is that by 2020 the St. Louis region will have the fastest growth rate of foreign-born people, reversing current declines on the regional population of 2.8 million. The St. Louis Mosaic Project is part of the World Trade Center-St. Louis within the St. Louis Economic Development Partnership. Betsy is on Welcoming America’s Leadership Advisory Group for national immigrant integration. She is on the board of the St. Louis United Way, the Advisory Board of the St. Louis University Cook School of Business, the St. Louis Crisis Nursery Advisory Board and the Washington University Council for Sustainability. 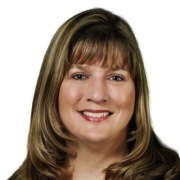 She has been recognized by the St. Louis Business Journal and the YWCA. Betsy is a sometimes golfer, traveler and fan of escapist television including The Bachelor and House Hunters International. She has new involvement in two entrepreneurial organizations that relate to inclusion, startups and international entrepreneurs. 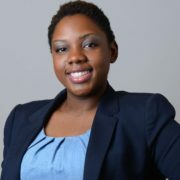 Brittany Ford is Project Manager at the Board of Lucas County Commissioners in Toledo, Ohio. Brittany leads special projects that focus on diversity, inclusion, and community and local policy projects. She is co-lead of the Welcome Toledo-Lucas County initiative, a collaboration of community partners focused on making Toledo-Lucas County a more welcoming and inclusive community for immigrants, refugees, and people of diverse cultures. Focus areas of Welcome TLC include community outreach, language access, economic and workforce development, and legal services. Welcome TLC also hosts the annual Toledo International Film Festival (TIFF), in partnership with the Ohio Theatre and Event Center, the last remaining neighborhood theatre in Toledo. In 2017, the community partnership-driven TIFF had over 900 attendees and is currently the most successful annual event for the Ohio Theatre. Brittany has her Master of Arts in International Education with a focus in Family and Community Education from Teachers College at Columbia University. Her prior experience includes working with diverse communities including youth and families experiencing poverty and international and immigrant populations in the U.S. and as a volunteer abroad. 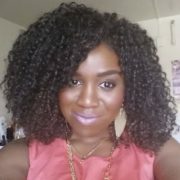 Prior to joining the Board of Lucas County Commissioners in February 2013, Brittany worked with mental health, education, and community-based organizations in New York City, Michigan, and Ohio. Brittany is the single mother of second grader, Oliver, who loves all things Star Wars, chess, and legos. In her spare time, Brittany is involved in local politics and loves to travel. 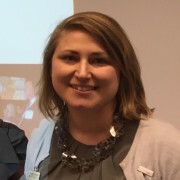 Brittany is the Secretary and Executive Committee Member for Toledo Sister Cities International and serves on several sub-committees for the Ohio Theatre and Event Center. Eva Hassett has been the Executive Director of the International Institute of Buffalo since August 2009. The International Institute of Buffalo seeks to make Western New York a better place for, and because of, immigrants and refugees. 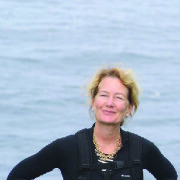 Eva has extensive experience as a senior executive in the public, private and nonprofit sectors. Before her arrival at the Institute, Eva served for 12 years in Buffalo City government, as Administration and Finance Commissioner and Chief of Staff to the Mayor of Buffalo. After leaving City Hall in 2006 she worked in the real estate development field with Savarino Companies and Clover Management. She also has experience in public sector investment banking and in policy analysis and development. Eva has her BA from Harvard College, and her MBA from the Yale University School of Management. Eva was named one of Buffalo’s Top Ten Influential Women in 2006 and one of the Top 100 in 2015 by Buffalo Spree magazine. Karen Phillippi is the Deputy Director of the Michigan Office for New Americans. She has been working in immigration law for over 25 years. Karen began her work in immigration law by serving as the Immigration and State Department Specialist for US Senator Don Riegle. She then worked in various law firms developing employment-based immigration practices, and she spoke at numerous seminars on immigration-related topics. Karen is very passionate about immigration and immigrant integration, and serves as Board Chair for Global Detroit; Steering Committee member for the WE (Welcoming Economies) Global Network; and, she’s on the advisory boards for the Global Talent Retention Initiative, Welcome Mat Detroit, and Welcoming Michigan. Karen is very active in promoting the benefits that immigrants have on the economy, and making Michigan a more immigrant-friendly state. She has a Bachelor of Arts in Anthropology from Michigan State University. Karen is most proud of being a Mom to Tyler, her 14 year old son who loves Pokemon Go, reading comic books, and playing golf! Nicole Pumphrey joined the Welcoming Center as Director of Strategic Partnerships in 2014. In this role, she is responsible for establishing effective relationships with employers, educational institutions, non-profit, government, philanthropic organizations and other key stakeholders. Nicole has strong knowledge of economic development through employer engagement and brings more than 10 years of experience in international and intercultural program development. Prior to joining the Welcoming Center, Nicole supported global initiatives at the Fox School of Business at Temple University as the Associate Director for International Programs, including developing short-term programs abroad and identifying cultural competence measures. Before arriving at Temple, Nicole established education and outreach programs to support the study of East Asia at the University of Pennsylvania. Nicole earned her B.A. in French and Korean Studies from the University of Pennsylvania and a Master of Science in Education in Intercultural Communication from Penn’s Graduate School of Education. She is a lifelong Philadelphian, who has spent stints living in France and Korea, but sees her deep roots in the region as a valuable asset, motivating her to invest in making Philadelphia great for both newcomers and long-time residents. 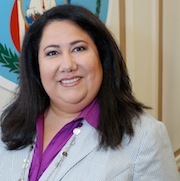 As Assistant Director of The Department of Neighborhoods for the City of Columbus and Coordinator of Mayor Michael B. Coleman’s New American’s Initiative, Velasquez has devoted countless hours to promoting educational, economical, professional and personal development through her work in the community. While providing resources and assistance to community members to access city, county and state services, she also serves as an internal resource to city departments as they relate to cultural competency regarding newcomer communities. Creating and hosting “Global Columbus” television program for CTV, she strives to monitor the pulse of all vital information relevant to the diverse ethnic groups living in Central Ohio. The Steering Committee will serve as a de facto board of advisors to the Network and the WE Work Plan that is being carried out by Welcoming America and Global Detroit.